As part of the decade long Census of Marine Life project, Dr. Tim D. Smith assembled a team of scientists and historians to determine the effect that 19th century American offshore whaling had on whales. In 2010, the team finished up a 10-year project of assembling and analyzing two sets of data, one detailing the specifics of each of 15,000 American whaling voyage, and the other obtaining daily data from logbooks from more than 1,300 of those voyages. The team used these data sets to describe the changing geography of American whaling over the 1800s and the effect that whaling had on the many populations of the five primary target species: right, sperm, humpback, bowhead and gray whales. 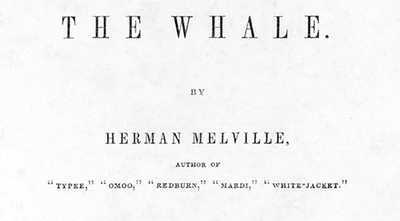 The results of this project have been used by both scientists and historians studying the status of whales throughout the world, and by others interested in learning more about who the whalers were. Below are edited excerpts from an interview with Tim Smith in March 2010. Q: Describe what you spent the last couple of years doing and focusing on. My team has focused on the effect of whaling on the populations of whales around the world, especially American whaling in the 19th century. The methods we've used are two-fold. We are first looking at how many whaling voyages were made, building on previous work dating back to the 1870s by a man named Starbuck. Second, we are looking at the whalers' log books and recording where they went on a given voyage and how many whales of different species they took. We use the log books of a sample of voyages, and we know pretty precisely how many voyages were made by year. There is only a third of those voyages for which log books exist, and we’ve sampled a fairly large proportion of those. So we examine this sample -- a kind of a shadow of what we'd get if we had logbooks for all voyages. From that, we get an idea of how many whales the average vessel caught and multiply that by the number of voyages that occurred to estimate the total whales caught. By accounting for where they went whaling, we were able to estimate how many whales were taken from different populations. For example, we did this recently for right whales around New Zealand, for humpbacks in the North Atlantic, and for California gray whales. Q: Do you feel you are starting to get a handle on how to summarize the impact of American Whaling on the whale stock during that period of time [1783-1927], or how they’ve impacted the stocks? Well it’s hard to be generic, but for right whales, for example, they were heavily reduced in abundance by American whalers almost everywhere the whalers went. Using the New Zealand example, American whalers took right whales in the nursery grounds and in the open sea and reduced the population greatly in a decade or so beginning in the 1820s. Q: Almost brought them to the brink of extinction -- would that be a good assumption? Absolutely. And that’s where you have to get regional because clearly the damage around New Zealand is greater than it appears to have been around South Africa. At least that population is recovering strongly, while sightings of New Zealand right whales remain very infrequent. For other species that have been better studied because of the regional nature of the species -- for instance, gray whales around California and humpbacks in the North Atlantic -- it is known that that populations were heavily impacted -- brought to the brink of extinction -- by American whalers by 1900 or before. For these, we have been documenting the actual number of whales removed that caused this decline. Sperm whales are more of an enigma. They appear to have been substantially reduced in the Pacific. But in the Atlantic, sperm whales don’t seem to have been reduced as much. That was a great surprise to us because American whalers took sperm whales in the Atlantic far longer than they did in the Pacific. The difference may reflect possibly lower intensity of whaling or a higher initial abundance in the Atlantic, or something about the way the fishery was prosecuted that we don't yet understand. That’s the cutting edge of our questions right now. Q: When you talk about the right whale -- they were reduced significantly and brought to the brink of extinction in New Zealand. Were they brought to near-extinction in the waters of the North Atlantic where the whalers first ventured before they started traveling the world? Yes. They were greatly reduced in the North Atlantic by Basque whalers beginning in 1000 AD, and that fishery continued north from the Bay of Biscay around the European continent and across into North America. And ultimately, the species was nearly exterminated in the North Atlantic. That's resulted in the big issue in the Boston area right now, with a few hundred survivors feeding in shipping and fishing areas. The current threats are the possibility of ship strikes and fishing net entanglements. This remnant is out of many thousands of animals, but probably not hundreds of thousands, but thousands, before whaling began. 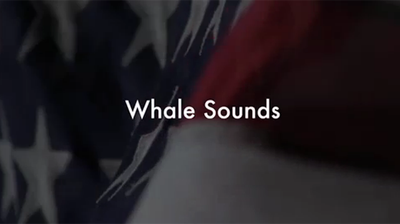 Q: Given your research, where in the world’s oceans did American whalers focus their efforts? American whalers were initially in the North Atlantic. The American whalers broke out of the North Atlantic right after the War of Independence and developed a so-called southern fishery, and the British whalers soon followed. That fishery was to expand in the South Atlantic. At first, whalers alternated seasonally between the North and South Atlantic, in order to be whaling in better weather when they could. In the 1790s, American and British whalers started going around the tip of South America and the tip of South Africa. And the American-registered vessels proceeded to go everywhere, absolutely everywhere in the world’s oceans. There are some areas that were whaled less extensively, but there is really no place that we can find that the Americans didn’t go. This is apparent in a map we made recently of where Americans went and where they killed whales in the 19th century; virtually every part of the ocean is colored in by the data. One of the things that we know is that the whalers explored a lot of the South Pacific, and this was prior to the American Exploring Expedition around 1840. What I think was going on was that the whaling grounds were getting depleted quite rapidly. So, when they first showed up in the Pacific, for example, they found what have been called 'bonanza' catches on new whaling grounds. The whalers -- and especially the vessel owners -- came to expect a certain level of catching. Whaling masters needed to fill their vessels as quickly as possible to please the owners, and when the rates of return on these voyages started to drop off, they were forced to look for better pickings elsewhere. Q: What do you think is the most important for a general audience to understand about your research? I think the thing I find that people most often ask is, “How are the whales doing?” The answer is that there is no simple answer; how they are doing today varies with area, and it varies with species, and this hinges on how intense whaling was and for how long. In some places the whales are doing fine, and in some places they are not, and you have to be specific in order to answer this question. Some species of whales like right whales were depleted -- extirpated -- nearly everywhere. Others like sperm whales were depleted in many places, but apparently not all. Humpback and gray whales were heavily depleted especially through whaling especially on their breeding and calving grounds. In some cases the populations have yet to recover, while in other cases they are recovering well. Q: Would you say that that’s what your research is primarily trying to shed light on? That complexity? Yes, the complexity is such that detailed study is needed to make sense of why we see whales where we do today, and why we don't see whales in other places. My overriding interest in all of this is, however, is in how fisheries work. When you are going to manage a fishing industry, you really need to know what makes the fishermen do what they do. And then you start to put rules in place to help the fishery develop in a way that is sustainable. The whaling fishery, from the 1800’s to the end of the 1900s, was totally unsustainable almost anywhere, and even the regulations in the 20th century under the International Whaling Commission were too weak to change that. For all species and all regions, there was just no sense in which the industry was able to look at further ahead than a season or two. Q: What’s the biggest misunderstanding that people have about commercial whaling in the 20th century? I think the 20th century pattern of moving from blue whales to fin whales to sei whales and so forth -- depleting first the larger and then the smaller species -- is understood. The thing that people miss, however, is that 20th century whalers never finished the job. The current target species in the 21st century is the smallest of the great whales, the minke whale. This species was exploited but not depleted in the Antarctic in the 20th century, and is not depleted there now. By the time the whalers got started on this species, the constraints on the management of whaling actually started to get some teeth. Whereas the other species were sequentially depleted, minke whaling had only started, and the species in the Antarctic today is nowhere near depleted. So that what is going on now is almost certainly sustainable if catch limits were set on the best available science. Q: From what you just said about the minke whale, do you think people are starting to correct their ways? Well, in the late 1980s, the International Whaling Commission established a global moratorium on commercial whaling, and that global moratorium essentially stopped commercial whaling. However, there are some loopholes being used. Those loopholes are in fact allowing Japan to continue to hunt minke whales in the Antarctic, and indeed Japan is free to set its own catch limits on whatever basis it chooses. Only political pressure is keeping Japan from taking a larger number of minke whales, and that pressure has nothing to do with the status of the species. 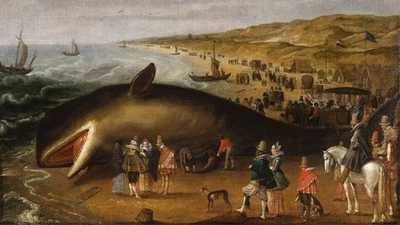 The lack of international limits on whaling suggests to me that people have not changed their ways. If you had to look for a success story in the management of whaling, it would be that California gray whales and Alaska bowhead whales have increased in the face of ongoing whaling. The greatest failure was that commercial whaling continued until the 1980s essentially without management, and minke whaling continues today with no international management. Norway sets its own catch limits for minke whales in the Atlantic. Iceland does the same. So they are saying, "We are taking exception to the 1987 moratorium as we are allowed to do." And Japan is setting its own catch limits for minke whales in the Antarctic and the North Pacific -- although with a lot of pressure holding the catches down -- but they are essentially free to catch as many whales as they choose, ignoring the current scientific basis for commercial whaling. So the failure is that commercial whaling continues without international oversight. Q: So whaling is led economically, not scientifically? Yes, that’s right. And the economics are crucial. That’s why minke whales come up in CITES [the Convention on International Trade in Endangered Species] every meeting. The question is whether international trade in minke whale products should continue to be restricted? I think the answer should be yes because if trade were allowed, there would be economic pressure to increase whaling and there is no international mechanism besides political pressure to limit it. History has shown that that is not enough. Q: Well I think the average person has no idea how many whale species there are. The Census of Marine Life was supported by funding from the Alfred E. Sloan Foundation. The World Whaling History project was part of that larger effort, and was funded by the U.S. National Oceanic and Atmospheric Administration and the Lenfest Oceans Program of the Pew Charitable Trust. The team included Dr. Randall R. Reeves of Quebec, Canada, Ms. Elizabeth A. Josephson of Woods Hole, MA and Ms. Judith N. Lund of Dartmouth, MA, and Dr. Susan Lebo of Honolulu, HI, along with many others too numerous to name who have examined the many archival sources that were used.